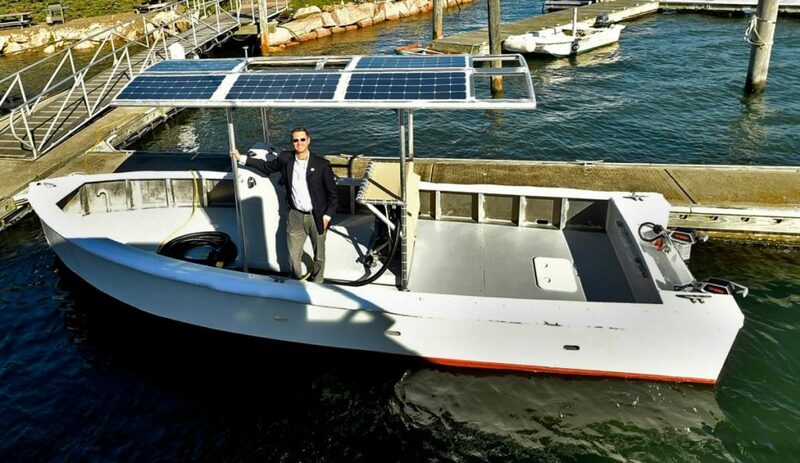 This Torqeedo powered solar-electric boat will soon go into service, providing free sewage pump-outs for other boats in Westbrook, Connecticut in the USA. Claimed to be the first full-size solar-electric sewage pump-out boat in the world, it was built for East Shore District Health Department for use by Pilot’s Point Marina and will commence operations next month. The propulsion system is comprised of twin Torqeedo Cruise 4.0 outboard motors, four Torqeedo Power 48V lithium-ion batteries and four chargers, along with associated electronics. 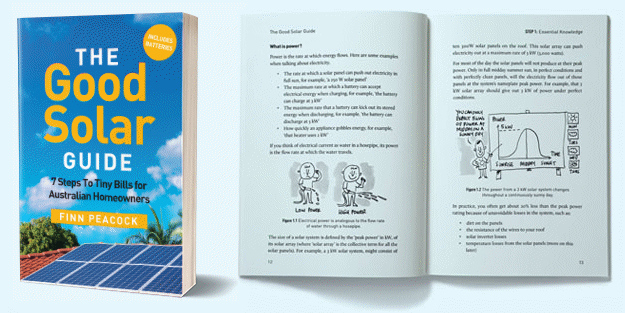 The batteries are charged by eight 100-watt solar panels. 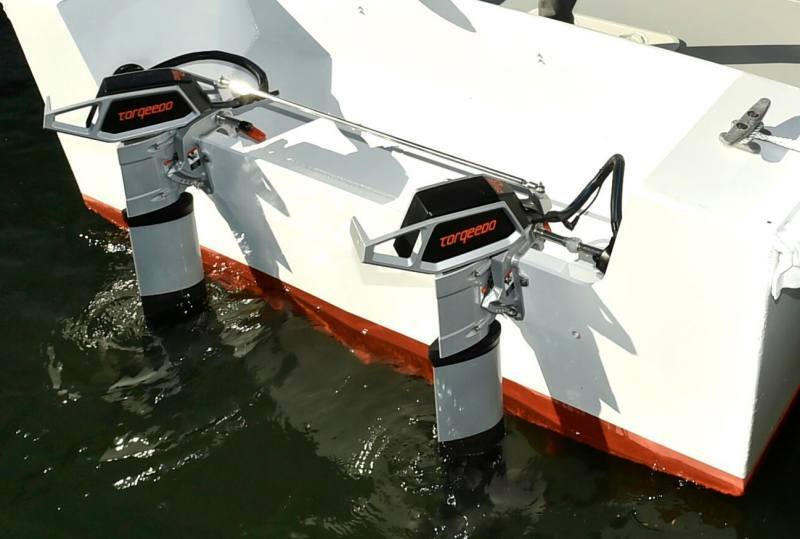 As well as powering the outboards, the batteries also drive the boat’s 48V 2hp pump, which Torqeedo says provides enough reserve capacity for a full day’s work. The motors are assumed to be the Cruise 4.0 RS, which Torqeedo states is comparable to a 8HP petrol outboard. Torqeedo’s 48V lithium-ion batteries (44.4V) are rated at 5kWh capacity (around 115AH if I’ve used this calculator correctly), giving the craft a total of 20kWh energy storage. With just 8 solar panels @ 100 watts each, it would take a number of days to recharge it from a fully discharged state, but no doubt it can plug into shore power. Given the boat is 25ft (around 7.6 metres), it won’t be whizzing around or traveling particularly far, but it doesn’t need to if it’s just performing marina runs. Built for work rather than pleasure, it’s a rather bare bones design lacking many creature comforts, such as a stool for the skipper. President of Torqeedo, Inc Steve Trkla is pretty pumped about the boat and says it poops all over its petrol- powered competition. As for the purchase cost, that’s been mentioned elsewhere as USD $200,000. It was rather pricey, but no-one seems to have kicked up a stink about that or accused East Shore District Health Department of flushing money down the toilet. The funding came from the U.S. Fish and Wildlife Service, Connecticut Department of Energy and Environmental Protection and local fundraising efforts. Research for construction of the vessel was carried out in collaboration with Yale University’s School of Public Health and it was built by Pilot’s Point Marina. I don’t think the boat has a name yet. Hopefully there will be a naming contest as I have a list of entries ready to go. Three other solar powered vessels are apparently already in use at the marina for pump-outs, but they are only crappy little 11-footers. Hmph. The bloggers in this site are clearly in a race to the bottom. I read your articles hoping for some nuggets of truth, but this one barely passes the sniff test. The boat might not have a stool for the skipper, but it sounds like he’ll have plenty of stools by the end of the day.